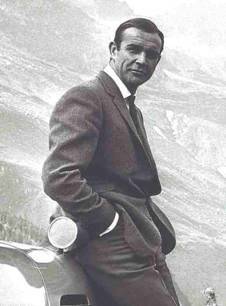 "My dear girl, there are some things that are just not done, such as drinking Dom Perignon '53 above the temperature of 38° Fahrenheit." We have an exciting line-up of events this week. With some of the biggest names in the wine industry coming to South Florida to drink wine with us at the Wine Bar. Check out www.winewatch.com for the details on these and all the upcoming wine events here at the Wine Bar. I have included this week’s menu for the Wine Bar at the end of this offering we are open for regular service Thursday, Friday and Saturday night this week. We have been following Hartford Court Winery since day one and I have attended several tastings with Don Hartford when he was first establishing this brand and I remember he would taste the Hartford Court wines blind against some of Burgundy’s elite producers and many times come out on top! This was a brave move but Don has a very good palate in addition to knowing enough about producing fine wines to know that on any given Sunday anything is possible. Check out the interview with Don Hartford on WineWatchTV at www.winewatch.com/wine-watch-tv/producer-interviews. We will be getting back to the hard work or reviewing wines and posting the results of our “Once in a Lifetime” tasting this year as we are finished with the big move from Progresso Plaza to our new home at 839 NE 3rd Avenue. If you have not seen the new store and wine bar you must make a reservation for one of our tastings to check it out. Join us as we welcome back our good friend Tom Rozner from Hartford Court Winery to South Florida to sample these Most Excellent Chardonnay, Pinot Noir and Zinfandels. We will also be the first to taste our “Wine Drinking People” on the new Syrah! Toni Lampasone will be making a special menu to accompany the tasting wines and the fee for this event is only $95 + tax. For reservations call 954-523-9463 or e-mail andy@winewatch.com. This Pinot Noir is crafted from A Marin County vineyard north of the Golden Gate. The wine shows dense blackberry aromas and flavors with a complex savory component. The acid balance, elegance and refinement of the wine are driven by the cool growing conditions and low yeilding vines. Only 293 cases produced. The 2017 Hartford Russian River Valley Zinfandel is showing aromas of ripe plum, blackberry, black cherry which are highlighted with hints of white pepper and allspice. Blueberry, red raspberry, nutmeg and mocha ?avors lead into a long, bright ?nish with supple tannins. Don Hartford grew up on a small strawberry farm in western Massachusetts, and later attended the University of Massachusetts at Amherst. To cover the cost of tuition and expenses, Don worked as a "straw boss" on a cigar wrapper tobacco farm, a de-degreaser in a bicycle factory, and a lifeguard at Congamond Lakes in Massachusetts. Although his early years were heavily influenced by agriculture, farming was not Don's first choice as a profession. He went to school to study law and after earning a B.A., Don spent a year teaching English as a second language in Spain and later taught Spanish for four years in Massachusetts. In 1982 he graduated from Santa Clara University Law School in northern California. Don's legal career included work at the California Supreme Court, a Tokyo law firm, a large San Francisco-based firm, and Jess Jackson's Constitutional law practice. He also was a partner in a small country law partnership, and served for a time as a winery general counsel and vice president. If it was not for his first career choice he would not have met his wife and he might not have ever gotten into the wine business at all. Don Hartford met his wife, Jennifer Jackson-Hartford, at Santa Clara University in 1979. Shortly thereafter, Jennifer's father, Jess, started a modest 16,000 case winery called Kendall-Jackson. In the process, Don has returned to one of his first loves-the land and farming. In addition, he owns and farms a small vineyard behind his home. As President and part owner of Hartford Court and Hartford Wineries (with Jennifer and Jennifer's sister, Laura Jackson-Giron), Don works "hands on" at all levels of the business, including work in the vineyards, winery, marketing, hospitality and sales. 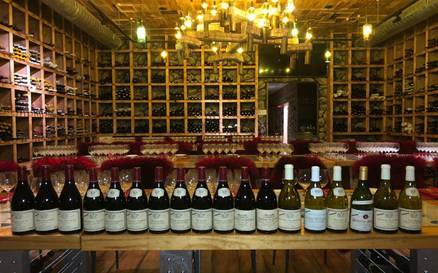 Don loves the South Florida market and on a recent visit we blind tasted the 1997 & 1998 vintages of the Hartford Court Pinots alongside 1996 grand cru Burgundies. These wines not only held their own, but they came in first, second, and third place on this afternoon. Hartford Court specializes in single-vineyard Pinot Noir and Chardonnay. Some of the wines that they offer are as limited as 50 cases. All of the wines come from cool locations in the Russian River and along the Sonoma Coast, wines that express the terroir of their unique vineyards. Hartford court also makes three single vineyard Zinfandels. Fannucchi, Hartford Vineyard & Highwire. The Fanucchi Vineyard is ninety years old and is located about seven acres on a slight rise off Wood Road in the Russian River Valley, it is dry farmed and has been tended by the Fanucchi family for over twenty years. Hartford Vineyard is Don’s home vineyard, the vines here are approximately eighty years old and it is located on Wood Road as well. The vineyard is head pruned and produces yields at around 1.5 tons per acre. The Highwire Vineyard is about ninety years old and is named after the high wire that is strung between each vine, this trellising method is highly controversial and is thought to permit greater sun exposure and to promote even ripening. These wines all have one thing in common- they are intensely flavored and usually some of the top wines of the vintage. The Chardonnay vineyard on the Sonoma coast is called Seascape Vineyard. 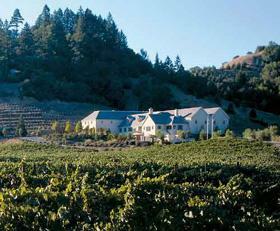 It is a six-acre site on a scenic ridge-top west of Occidental, California, in the Sonoma Coast AVA. The vineyard backs up to an old redwood grove on one side, and looks out over cascading ridges to Bodega Bay and the Pacific Ocean. The well-known Coastlands Vineyard borders the property. Because there is no ridge between the vineyard and the ocean, Seascape is an extremely cold spot - so cold Chardonnay is often picked in November. The vineyard is cropped to about two tons per acre to ensure full ripening. Although the farming risks are high, Seascape offers great reward of yielding a Chardonnay with evidently distinctive terroir. They make a single vineyard Chardonnay with fruit from this vineyard only in exceptional vintages. The production of this wine hovers at around 600 cases. Beginning with the 1998 vintage the winery began to bottle a Chardonnay under the Hartford label and added some Dutton Ranch and Durrel Vineyard fruit to boost the production of this wine to around 5,000 cases. The Seascape Vineyard Chardonnay will still be made, but only in exceptional vintages.